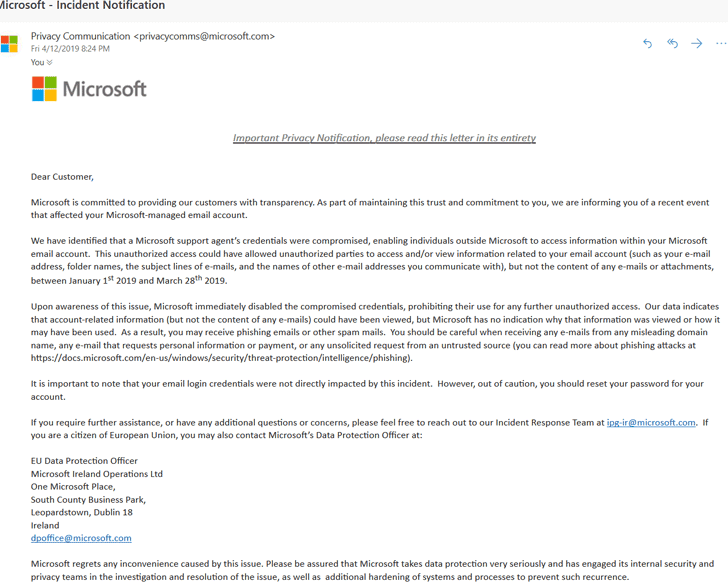 According to the incident notification email, as shown below, attackers were able to compromise credentials for one of Microsoft's customer support agents and used it to unauthorisedly access some information related to the affected accounts, but not the content of the emails or attachments. 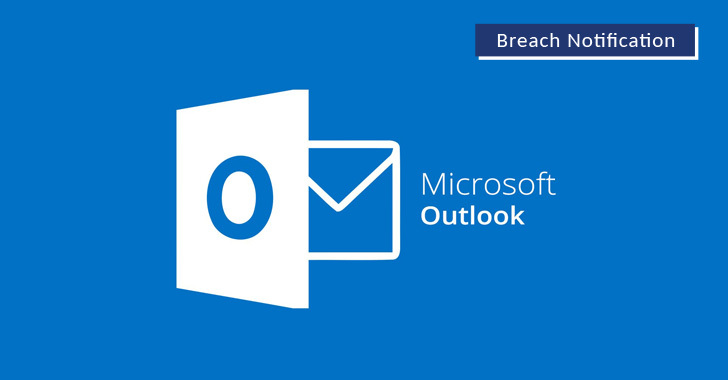 The information that a Microsoft's customer support agent can view is limited to account email addresses, folder names, subject lines of emails, and the name of other email addresses you communicate with. "Our data indicates that account-related information (but not the content of any e-mails) could have been viewed, but Microsoft has no indication why that information was viewed or how it may have been used," the company says in the email. "We addressed this scheme, which affected a limited subset of consumer accounts, by disabling the compromised credentials and blocking the perpetrators' access." "Microsoft regrets any inconvenience caused by this issue," the company says. "Please be assured that Microsoft takes data protection very seriously and has engaged its internal security and privacy teams in the investigation and resolution of the issue, as well as. additional hardening of systems and processes to prevent such recurrence."